Ok, having mushrooms means that you have damp ground and goodness knows we can’t seem to get enough rain here in VA. However, I can create little whimsical mushrooms! While it was not my usual style of set, when I first saw Funky Four in the catalog I just had to smile. Something about those little mushrooms (and the rest of the set, for that matter) are just really cute. So I got it! I didn’t think about it or rationalize it, I just bought the set. I am so glad I did! I saw the color challenge over at The Paper Players this week and knew that I had to play along. Really, you must go look at the cards they made…gorgeous!! The colors they chose were Old Olive, More Mustard, Cajun Craze and Early Espresso…oh so pretty together. There is also a brand new challenge, S-U Only Challenges, and their first challenge is “Fall”. So, my brain started crunching and realized how great those colors would be with my funny little mushrooms. I had also found a great sketch over at Unscripted Sketches that would be perfect. Ready with the three challenges, this card came together very quickly. I colored onto the stamp with my markers and stamped the main image panel. I then added the sentiment from Apple Blossoms (Hostess Level 2). I liked the idea of color blocking for this layout but wanted to add a little more interest so I chose a piece of Play Date DSP for the side panel (it coordinates perfectly with the Funky Four set!). This card is for my dear brother-in-law so I avoided the bow and put on a button instead. Yes, I’m really glad I went with my impulse and got these mushrooms! See, I bet they make you smile, too! Nothing more for today…thanks for stopping in. I hope you have a beautiful weekend! Great card just love those mushrooms! Super cute! Love those colors with the mushrooms! That is the cutest little row of mushrooms ever! I love how you used the Unscripted sketch, sure glad you played along. Adorable, in a masculine way ;), card! What a sweet thing to do, sending a note the the BIL! I fell in love with this set too, so I totally understand, lol! 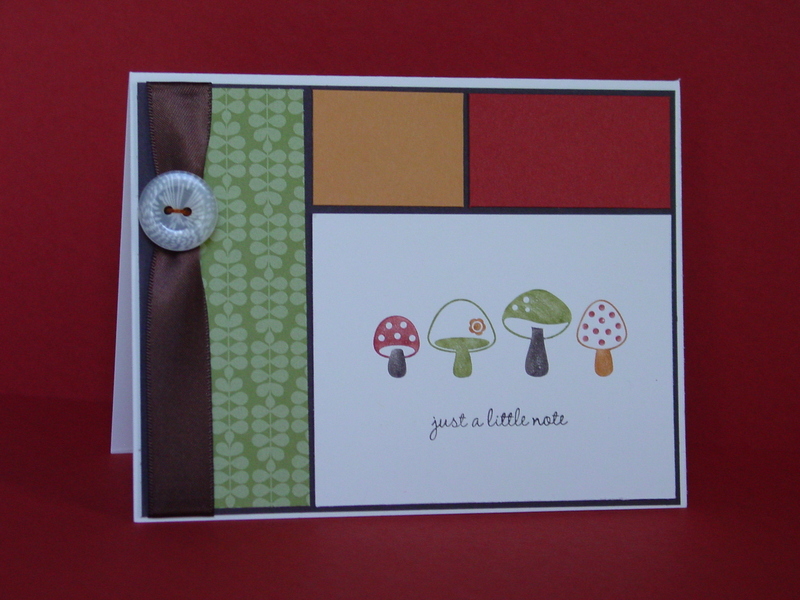 Love the mushrooms and the color combo is fabulous! Great take on this weeks sketch. 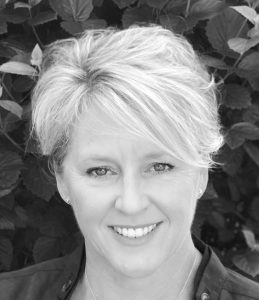 So glad you joined US this week! Love the color blocks! A perfect sketch for this stamp set. I also like the button on the ribbon! Thanks for joining the Paper Players this week! Love the color blocking. Now I need that set! SO cute! 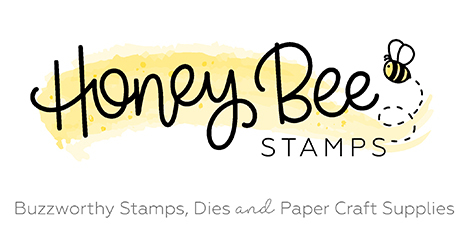 This is one of my favorite new stamp sets. I like it so much, it’s my September Stamps in the Mail set! Love your card. 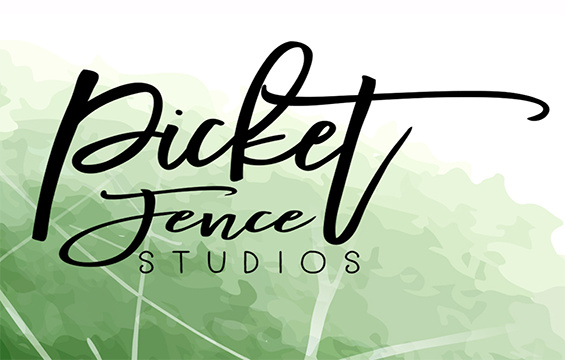 Great use of the sketch! Great use of this sketch and this weeks Paper Players colors. 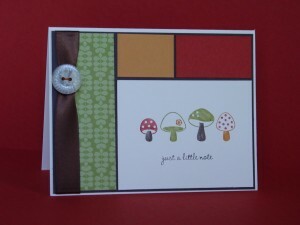 The color blocks are great, I like the simple elegance of the button & ribbon treatment and those mushrooms are adorable! Thanks for joining us this week at The Paper Players. isn’t it amazing how sometimes you just have to go with your gut and buy a set that calls to you …. no rationalizing… just reacting! I’m so pleased you did get this set so that you could create this gorgeous, whimsical card and join the Paper Players this week. I love the way you used the color challenge. Love the clean, simple lines and the color blocking. Fabulous! This is a lovely card : ) Would you share the dimensions of your cardstock pieces? I love the way you color blocked! One of my favorite ways to work! The mushrooms are so darn cute! I love the color blocking. It adds so much visual interest to your card. Thanks for playing along at SUO Challenges this week! Thanks so much for joining us at SUO Challenges! We hope to see you again soon!